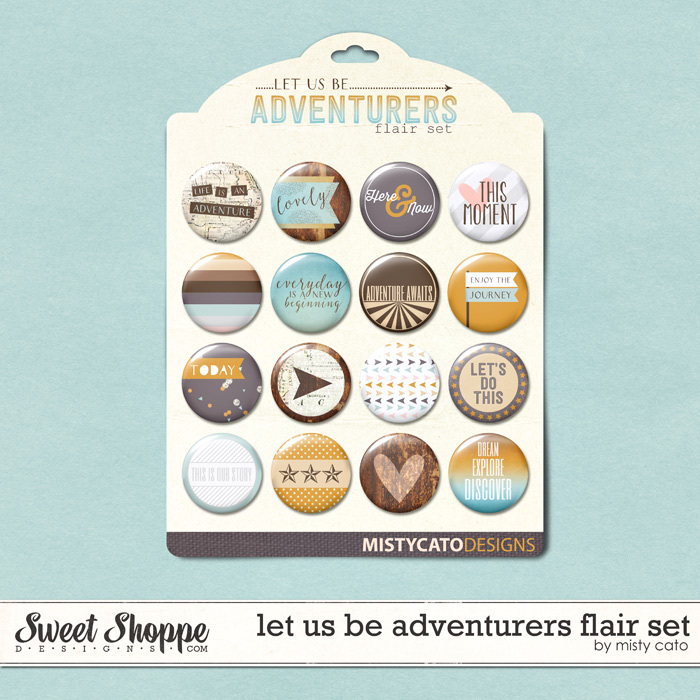 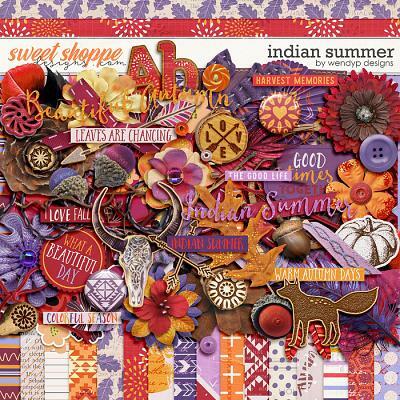 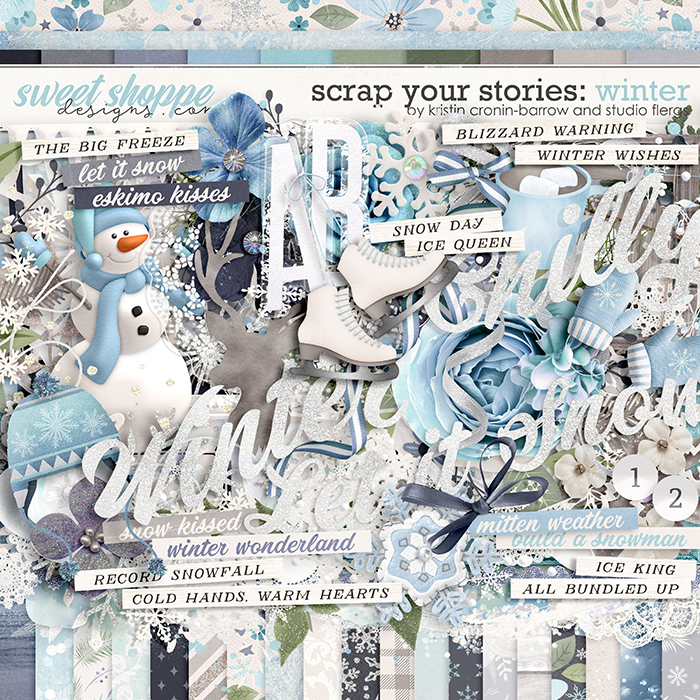 A digital scrapbooking collection by Studio Flergs & Kristin Cronin-Barrow. 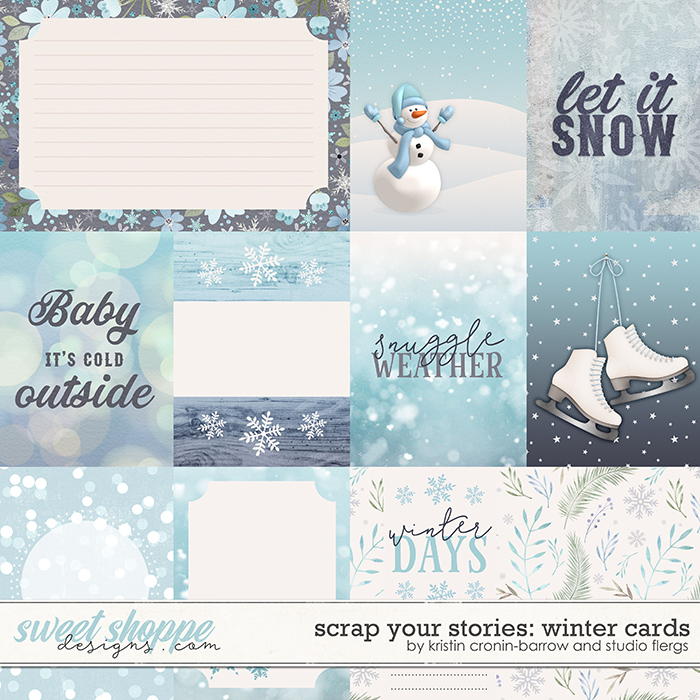 The snow may be swirling, but your pages will be smokin’ hot when you Scrap Your Stories with this new addition to the collection! 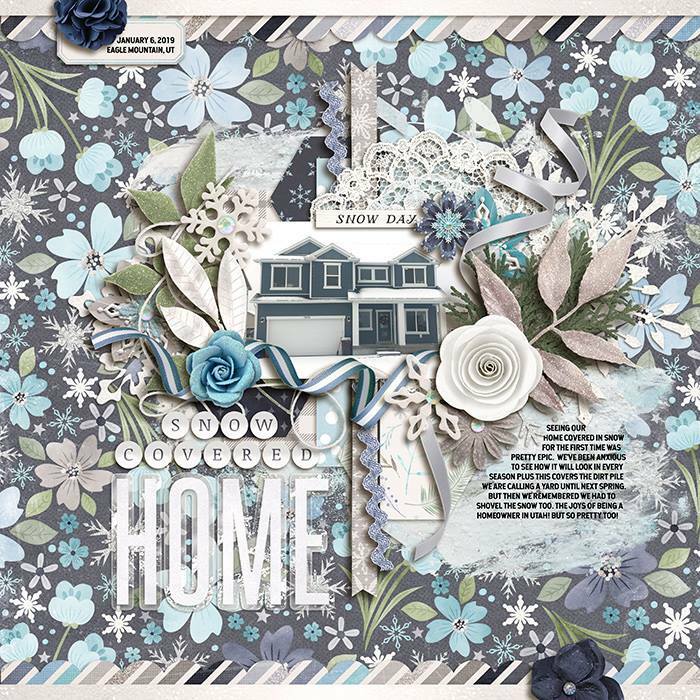 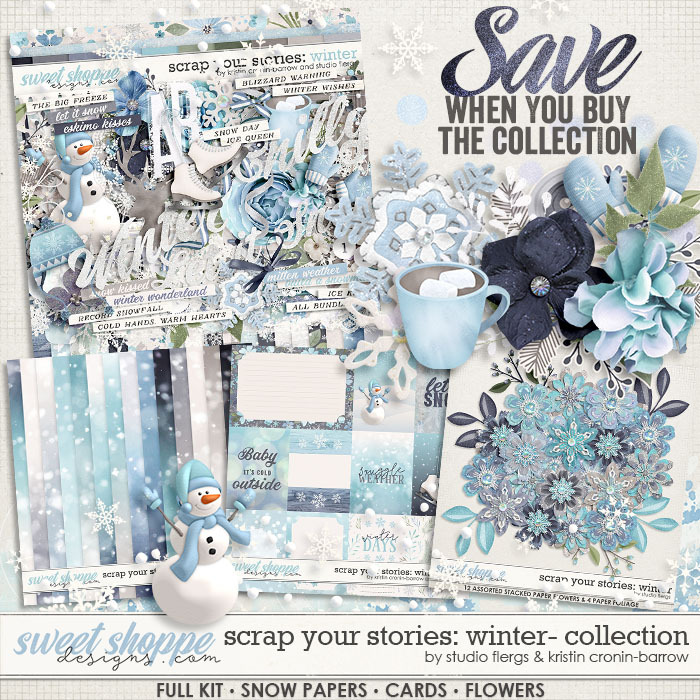 Icy blues, crisp white, and silvery gray take center stage in Flergs’ and KCB’s beautiful winter kit. 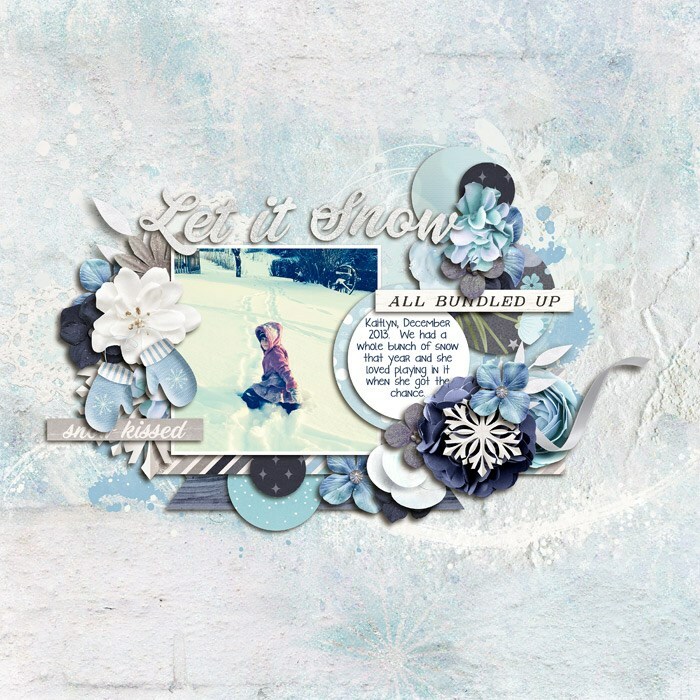 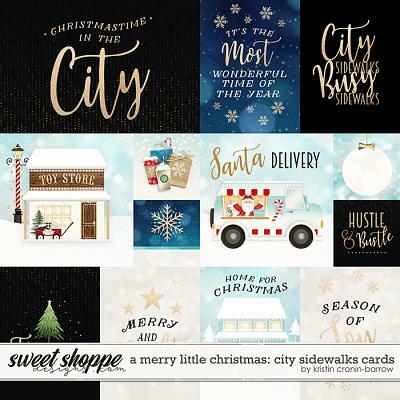 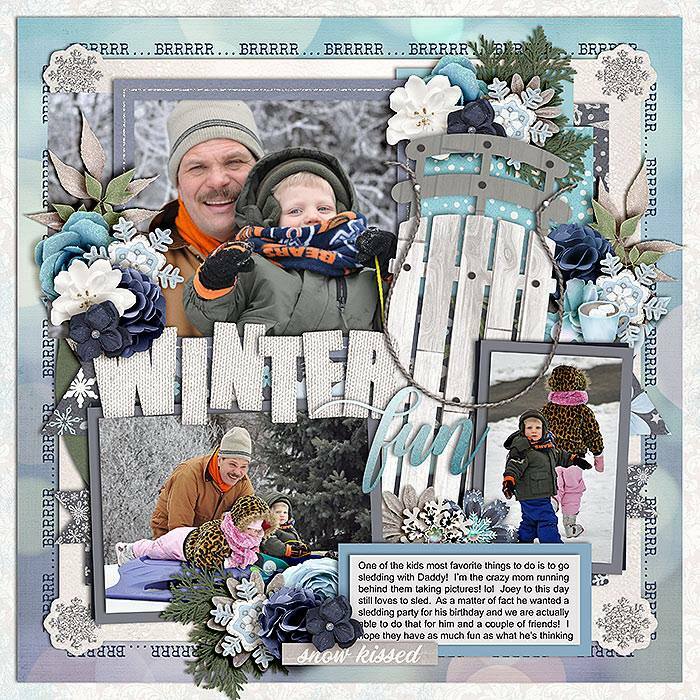 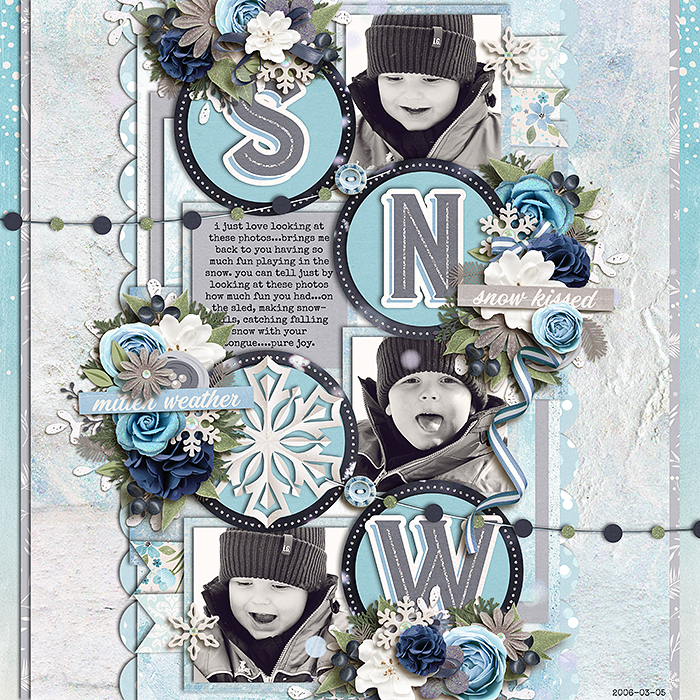 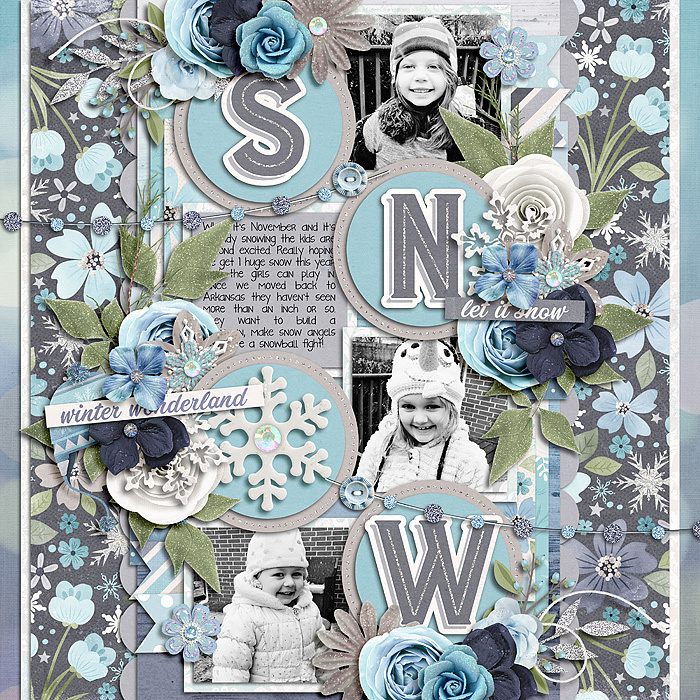 Elements to deck out your wintery photos include snowmen, stickers, word art, snowflakes, mittens, ice skates, hot cocoa, a sled, flowers, and so much more. 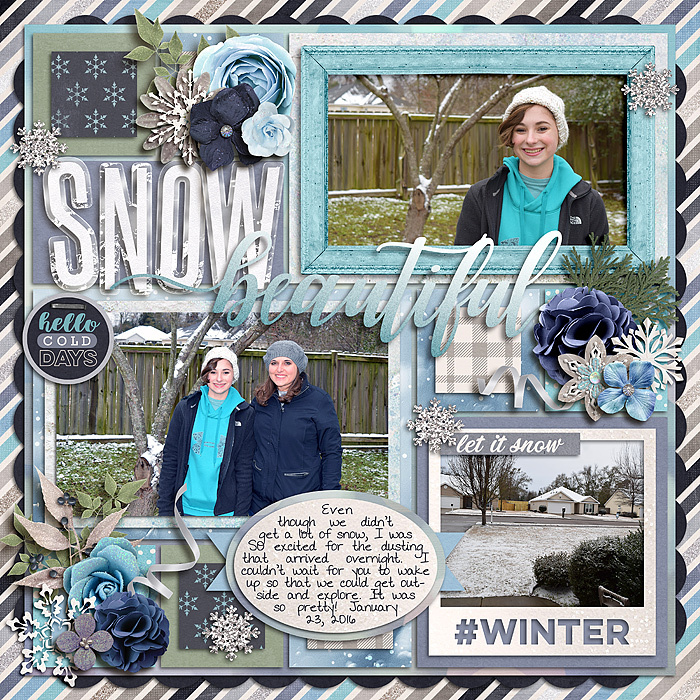 Spend your next snow day scrapping...you know you won’t regret it! 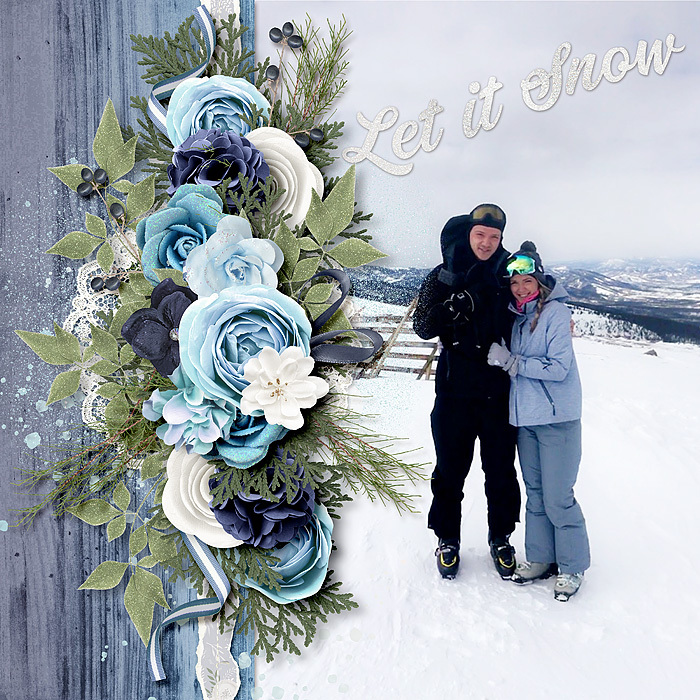 1 wreath, 1 torn paper, 15 word strips, 1 string, 1 seet of sparkles, 5 paint elements, 2 snowflake scatters, 1 snowflake circle, 5 snowflakes, 1 sled, 1 scallop border, 1 ribbons curl, 1 ribbon bow, 1 paper flower, 1 hat, 5 frames, 1 foliage stamp, 6 foliage elements, 13 flowers, 1 floral stamp, 2 doilies, 1 set of crochet snowflakes, 2 buttons, 1 branch, 2 bows, 1 branch with berries, 1 banner, 3 trims, 3 titles, 2 stag head stickers, 2 floral cluster stickers, 2 sparkles, 1 snowman, 1 pair of ice skates, 2 paper snowflakes, 1 set of mittens, 3 labels, 1 set of icicles, 2 glitter flakes, 2 bokeh elements, 2 alphas (separated), 20 patterned papers, 10 solid papers. 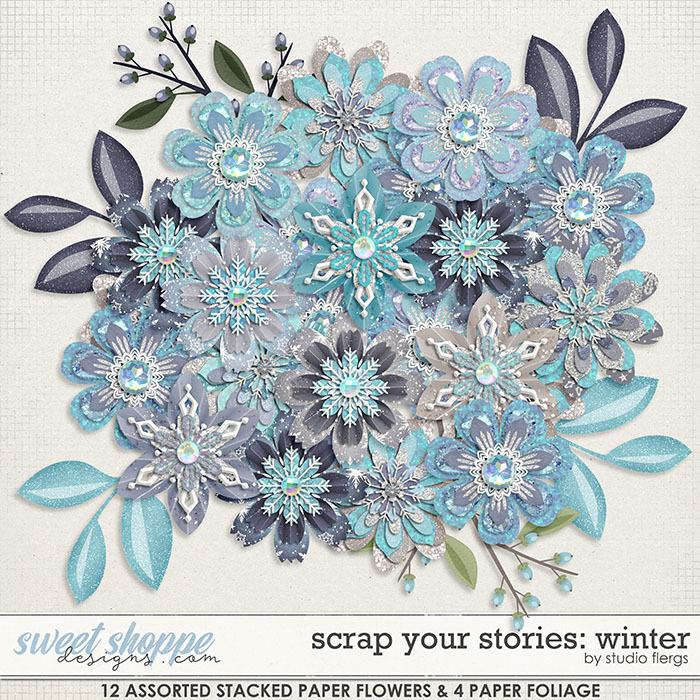 FLOWERS: 12 stacked paper flowers & 4 paper foliage. 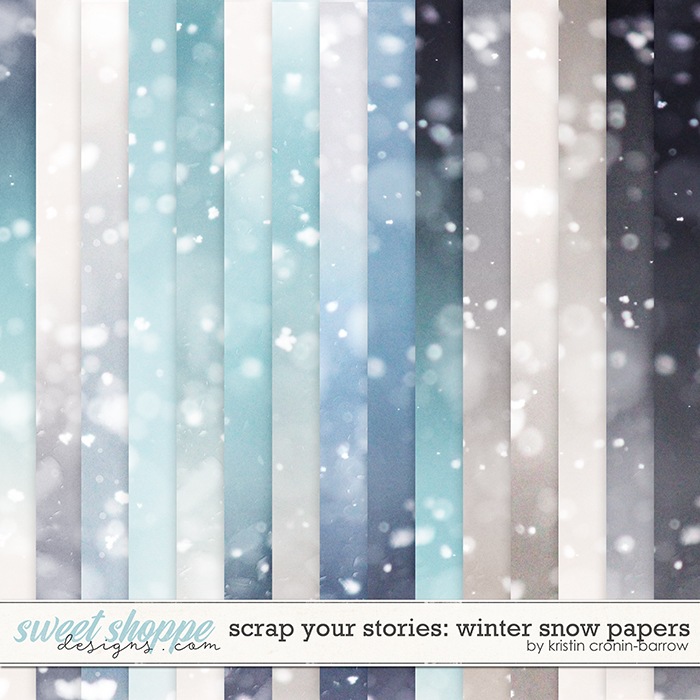 SNOW PAPERS: 15 assorted snow papers.